Another key store in Eastleigh’s embattled shopping centre is facing possible closure with the news that greetings card shop Clinton Cards will be forced it into administration later today having already suspended trading in its shares. 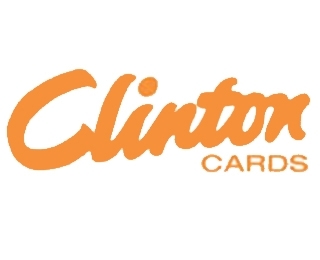 Clinton is the UK’s biggest card retailer and employs more than 8,000 staff. It is understood that administrators will continue to run the stores while seeking a buyer, but large number of stores could be closed. Recently both Game and Peacocks also went into administration eventually finding buyers but despite store closures in Winchester and Southampton their Eastleigh stores were able to remain open and trading. Workers at Clinton’s Swan Centre branch will hope they too can ‘dodge the bullet’ – although this was a fate that workers at nearby Priceless shoes were unable to avoid earlier this year. Clinton has suffered poor trading recently and is finally collapsing under the weigh t of its own £35 million debt mountain. Competition from supermarkets and internet retailers like Funky Pigeon, Moonpig and Hello Turtle have hit the chain hard while rising postage costs have contributed to a general decline in greeting card usage. In Eastleigh’s Swan Centre Clintons is in direct competition with rival card store The Card Factory which designs and manufactures its own cards considerably undercutting Clinton. There has been a decline in card shops in the town centre since Card Factory started trading and they recently relocated to the empty Adams unit (themselves an early casualty of the recession) which is directly opposite their ailing competitor. This may yet prove a factor which will determine whether Clinton will be able to continue trading in Eastleigh. Why we should be far more cautious before allowing allowing a Supermarket Megastore in our Town centre…. Not sure you can say the Swan Centre is embattled and then state that two stores in it have survived when other local members of their chains have not. From my point of view, I don’t want the Swan Centre to be embattled, I want it – and all other shopping mauls – demolished! Soul-less places. I agree with the above post. The Swan Centre has added to the demise of Eastleigh Town Centre and has certainly been no success story. The U.K population is waking up to the fact of the limitations of cloned towns and shops whilst the rise of the virtual internet high street shows no sign of abating. The current depression is merely exacerbating the situation. The shopping experience is certainly not helped by the fools from EBC who charge for car parking and have allowed a multitude of charity shops, lettings and fast food outlets rule the roost and so making this an unattractive shopping proposition. With the rapid increase of social housing courtesy of EBC many would have thought the increased local population would have a positive impact on this once thriving community Or maybe the asset which is owned by Prupim is proving too expensive for retailers given the current economic climate. The word on the ground is people have had enough of all this social housing when hard pressed taxpayers continue to pay excessive rent or pay huge mortgages when your next door neighbor is given a freebie.